Guns N’ Roses will perform at this year's Yasalam After-Race Concert as part of the Formula 1 2018 Etihad Airways Abu Dhabi Grand Prix on November 25. The band will play at the city’s du Arena on Yas Island after the final F1 race of the season. 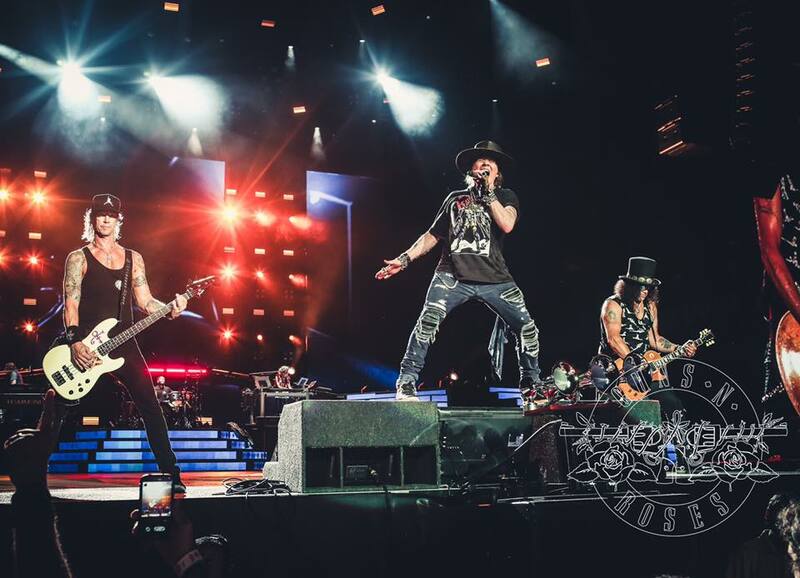 "Guns N' Roses are one of the biggest groups in music and reinforces our four-day proposition of on-track, off-track and after-race entertainment,” says Al Tareq Al Ameri, CEO of Yas Marina Circuit. “We are thrilled to announce that the band will be headlining the Sunday night show at this year's Yasalam After-Race Concerts as part of the 2018 Abu Dhabi Grand Prix race weekend. With two great acts already revealed, we are looking forward to announcing the next big artist who will take to the stage as part of an incredible weekend of racing and live music and entertainment for ticket holders." RnB singer The Weeknd will also appear the event with a headline show on November 23. The November gig in Abu Dhabi will follow the completion of Guns N’ Roses summer tour of Europe, which begins June 3 in Berlin, Germany and wraps up with a show in Reykjavik, Iceland on July 24. During the summer run, Guns N’ Roses will release multiple expanded reissues of their 1987 album debut, “Appetite For Destruction”, on June 29. Featuring memorabilia and dozens of previously-unreleased songs, the set is being previewed with a lyric video for “Shadow Of Your Love”, which was recorded with Mike Clink during the group's 1986 Sound City sessions.